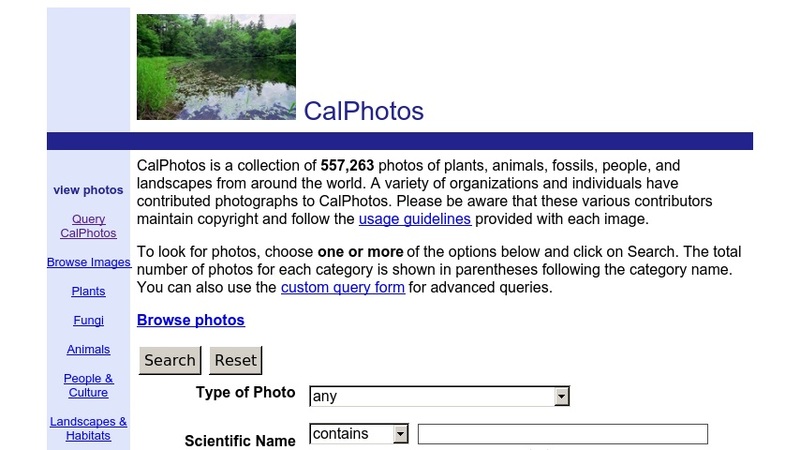 Thousands of photographs of plants, animals, fossils, landscapes (fieldsites, habitats), and people (anthropological, historical) are offered by this images database. The collection is searchable by photo type, scientific name, common name, geographic location, and a number of other parameters. Each photo is accompanied by a date, location, image category, and links for additional information. There is also an annotation system that allows experts to register, review photos, and add a comment or change the identification of the plant or animal in the picture.